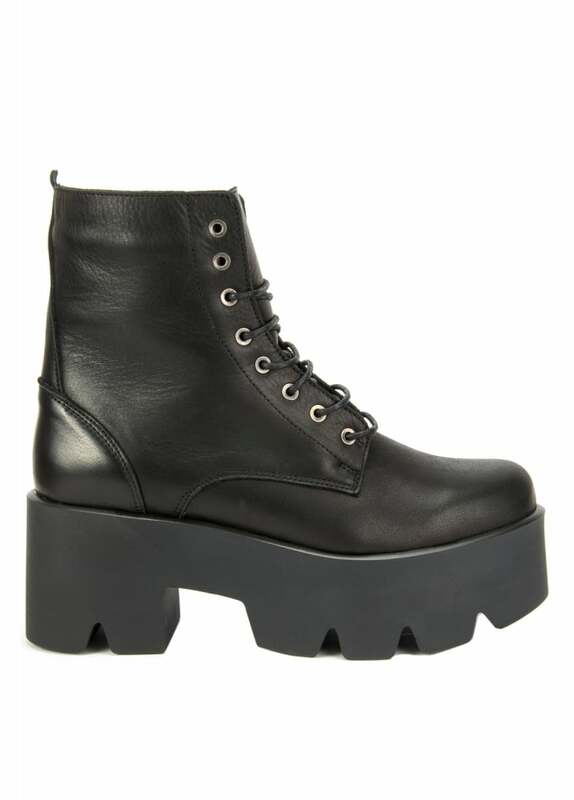 Altercore's Janet Leather Platform Boots are a sturdy pair of gothic boots. These lace up boots are made from natural leather and have an inside zip. The alternative boots feature a super chunky cleated platform sole.